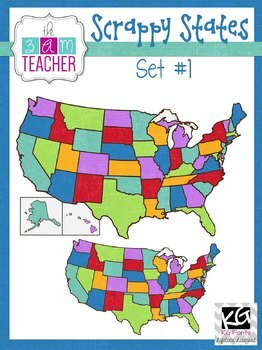 This set includes over 100 graphics in full color and black & white. The cute scrappy style is great addition for any resource!! 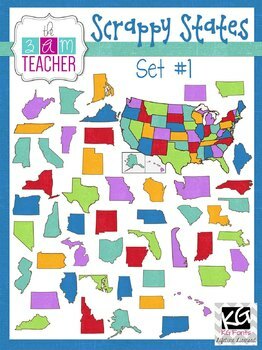 This state set includes unlabeled individual states and two unlabeled US maps!